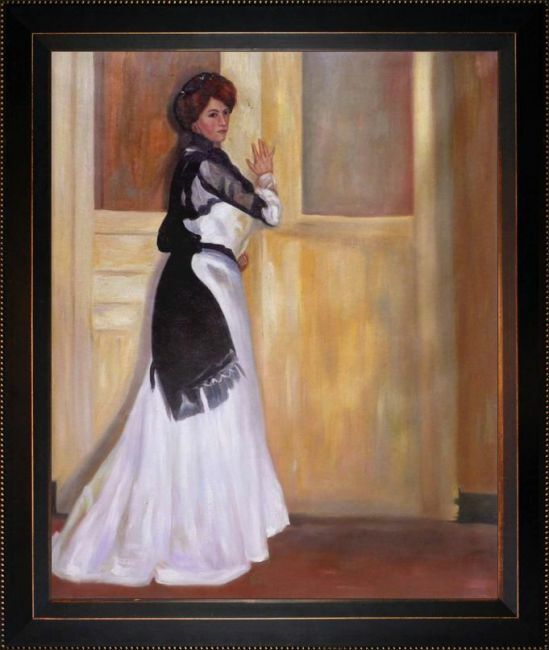 20" X 24" Oil Painting On Canvas Crafted in 1901, Girl in Whit e depicts a thoughtful woman looking off into the distance with her hand on the door. Maurer's brilliant use of shading shows transparency in the fabric of the woman's shawl, and shadows on the door. 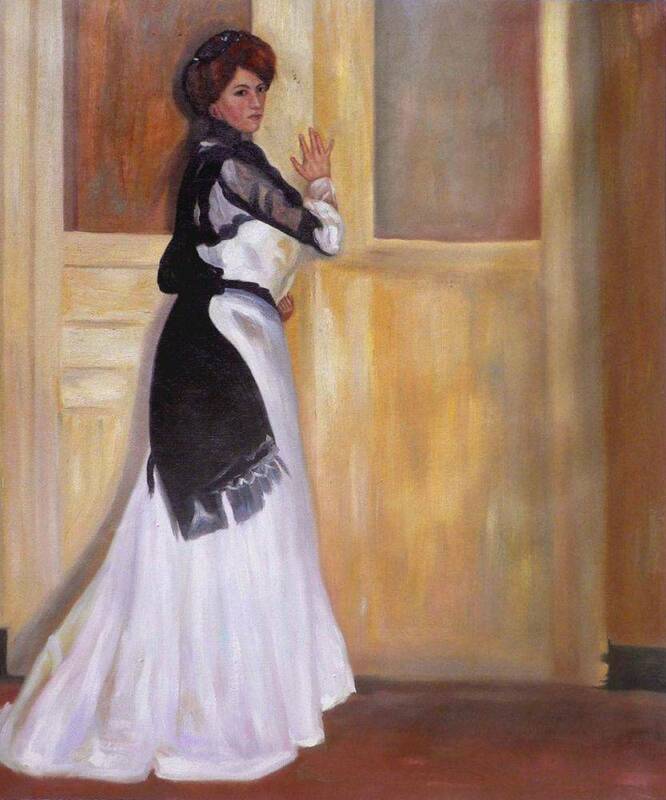 The artists' unique touch tells of a sad, mournful moment caught on canvas. 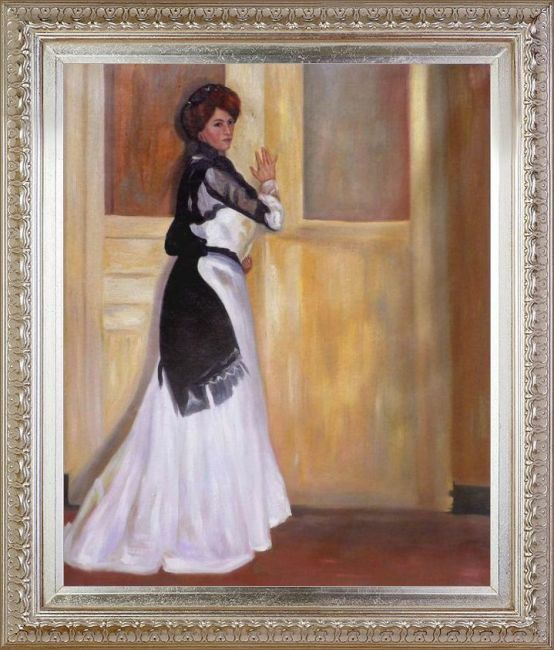 This masterpiece is sentimental and perfect for the bedroom or anywhere she can be admired. 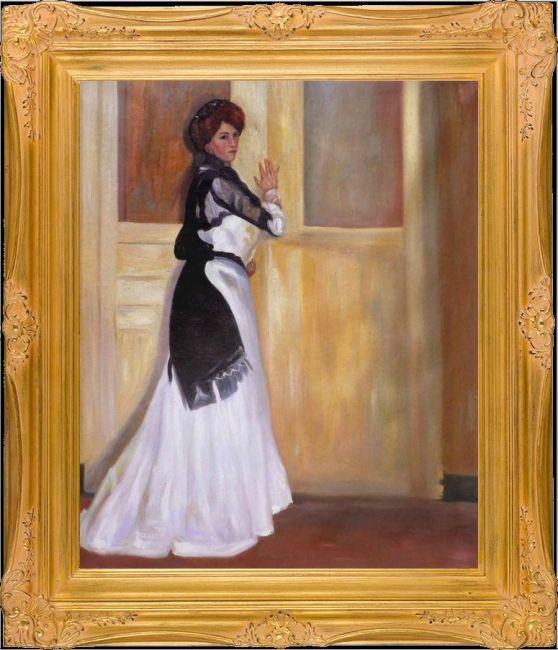 Alfred Henry Maurer (1868 - 1932) was an American painter. He exhibited his work in Avant-garde circles internationally and in New York City during the early twentieth century. Highly respected today, his work met with little critical or commercial success in his lifetime. Having the distinction of being America's first modernist, Maurer experimented with many styles until settling into contemporary expression believing the overall perception of work was more important than the finer details. Above all, Maurer declared color arrangement to be the most important element in composition. He also believed art could not completely imitate nature, but nature could be intensified in art lending to his love and use of vivid color. Although much of Maurer's works are privately held, many are included in the collection of the Carnegie Museum of Art, the Chicago Art Institute, the Whitney Museum of American Art, and countless other across the nation.